Added to the Rock And Roll Hall of Fame permanent collection. Nominated Publication Of The Year in the 2012 Scottish New Music Awards. 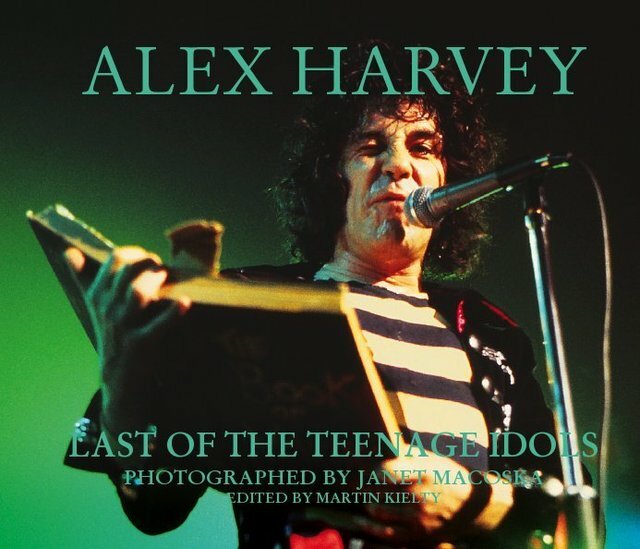 Since his sad passing at the age of 46 in 1982, Alex Harvey has consistently appeared in lists of the world's best rock and roll frontmen. His Sensational Alex Harvey Band burned brightly and briefly in the seventies with ferocious live shows never forgotten by those who lived through them. Now, to mark the thirtieth anniversary of his death, award-winning photographer and friend Janet Macoska releases a selection of images of Alex, his band and his friends, including never-before-seen onstage and offstage pictures. Packaged with Janet's own memories of the moments she captured, it's a unique, personal and evocative tribute to the Glasgow singer the world called 'the last of the teenage idols'. Edited by Martin Kielty, a former manager of the band and author of SAHB Story, their official biography.